The Talks & Walks have started"
Together We Walk and Talk to Start Conversations and Create Peace. had a chance to bloom? The spirit embedded in the Declaration of World Peace has become a seed sown in the hearts of the world’s youth that has blossomed into the value of becoming ‘active proponents of achieving peace’. As the message of the Declaration is now being realized in the youth’s involvement and actions in establishing peace, Worldwide Peace Walks and Spreading a Culture of Peace Campaigns were found as a means of working together until peace is finally achieved. 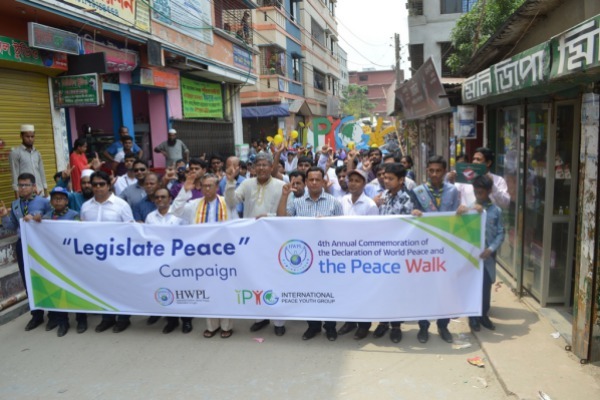 Since its initial proclamation on May 25, 2013, in major cities around the world, peace walks and campaigns to spread a sustainable culture of peace are in progress every year with various themes and programs. The life that grows on the earth is sustained from above - by light, by the rain, and by the air that is provided unconditionally to all living beings. This is the truest teaching of heaven. With this eternal gift - the grace and life we have received - are we entitled to fight, kill and destroy one another? Nobody can ask for anything greater than this, so know that your efforts - the efforts of the young people of the world today in pursuit of peace - will remain forever as a never-fading light of life for all future generations. "Talk＆Walk to Prevent Violent Extremism"
"What is your take on extremism and violent extremism?" Violent extremism has recently become one of the most talked about global concerns as a major threat to peace. Extremism is a system of behavior which is motivated by a belief or ideology and is considered to be extreme and, therefore, socially unacceptable. Violent extremism includes systems that cause or use physical or mental violence to achieve radical views. The terms extremism and violent extremism are often linked to specific religious or political views and used to blame certain groups. But people who carry out harmful actions caused by their beliefs often do not admit that they are an extremist and believe they are doing the right thing according to their belief. Then how do you draw the line between acting upon what you believe and violent extremism? What are the key efforts that can be made to prevent extremism and violent extremism? 1. Join the 525 Peace Walk being held in major cities around the world. You can become an active participant in spreading a culture of peace. City, Date, and Contact Point to walk for peace. (Facebook, Instagram) and share with your friends. 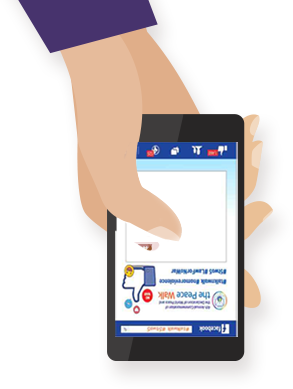 Want to see how you can post these contents? The campaign invites participants to think and talk about our personal beliefs, whether they anchor on the value of peace and how to make that part of our daily lives to prevent extremism and violent extremism. After the small talks, the peace walk will spread the culture of peace in the community. No matter what our beliefs, there needs to be a principle of utilitarian moral and ethical framework in which we, as individuals, can live and interact with diverse people. Such a society should be built on values that are shared by all beliefs and ideologies such as (1) Respect for human life, (2) A sense of kinship with humanity, (3) Coexistence, (4) Sustainability. Understanding how our diverse beliefs and ideologies support these core tenets of a peaceful society will help us build tolerance and, in doing so, reduce the innate propensity of such systems to be coopted for the nefarious use of extremism. TWO. 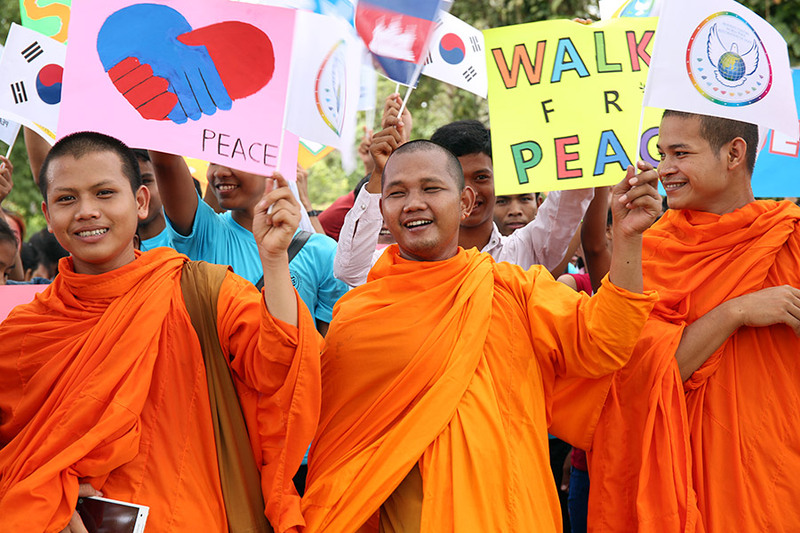 Peace Walks raises awareness and spreads the message of peace. 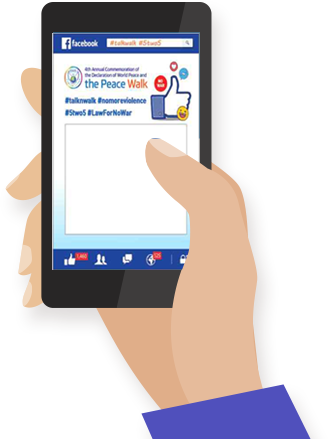 The Peace Walk is a global campaign for the culture of peace that started in 2013 to celebrate the Declaration of World Peace that echoes the spirit of "leaving a peaceful world without war as a legacy for future generations." 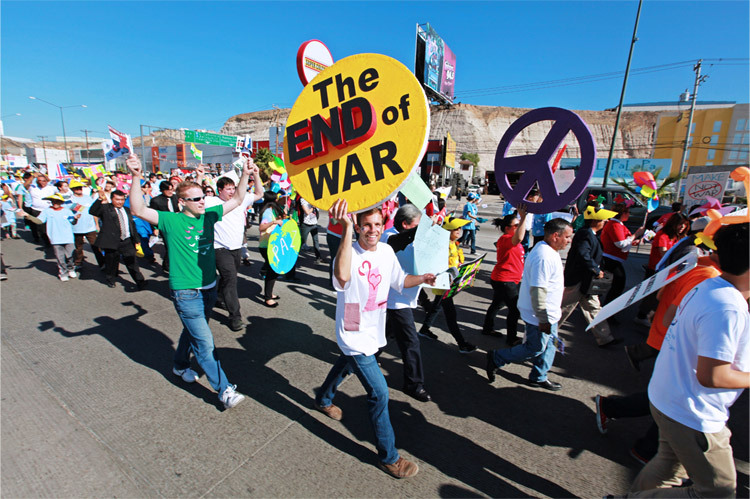 The IPYG Peace Walks led by young adults were joined by citizens across the globe. 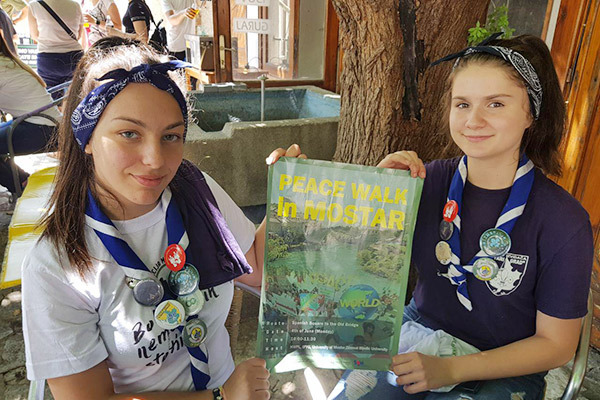 More and more peace walkers join the Peace Walk every May to show their will to bring peace to every corner of the world. This is a representation of the spreading culture of peace. The Declaration of World Peace, first proclaimed by HWPL Chairman Lee on May 25, 2013, called upon people to acknowledge the dire need for world peace and defined the roles of heads of state, women, youth and the press in achieving peace. Over 20,000 people from 130 countries gathered to march for peace at the Peace Gate of Seoul Olympic Park, South Korea. 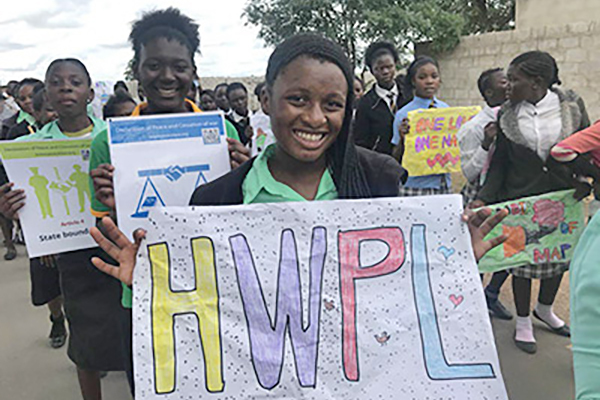 Soon after, peace walks became a channel for both youth and women around the world to become empowered to speak in a unified voice for peace. Various media outlets across the globe continued to report the World Peace Tours and peace activities of HWPL. As a result, exactly one year later, people who had been deeply moved by the sincerity of the peace movement celebrated the 1st Anniversary of the Declaration of World Peace in both Seoul and the UN Memorial Cemetery in Busan, South Korea, as well as in other major cities around the world. 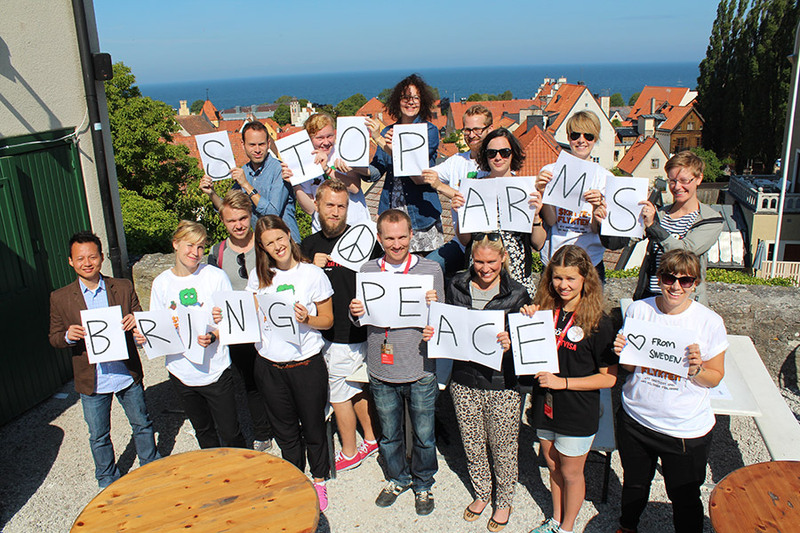 They celebrated the past achievements of working toward sustainable solutions for peace envisioned by the Declaration. In remembrance of those who had sacrificed their lives during the Korean War to protect a country not their own, participants paid sincere respect to these fallen heroes. The event also called for measures to put an end to wars that continue to take countless lives of youths, who had not yet had a chance to bloom. On May 25, 2015 over 200,000 people participated in celebrating the 2nd Annual Commemoration of the Declaration of World Peace simultaneously in more than 50 cities in 30 countries worldwide. 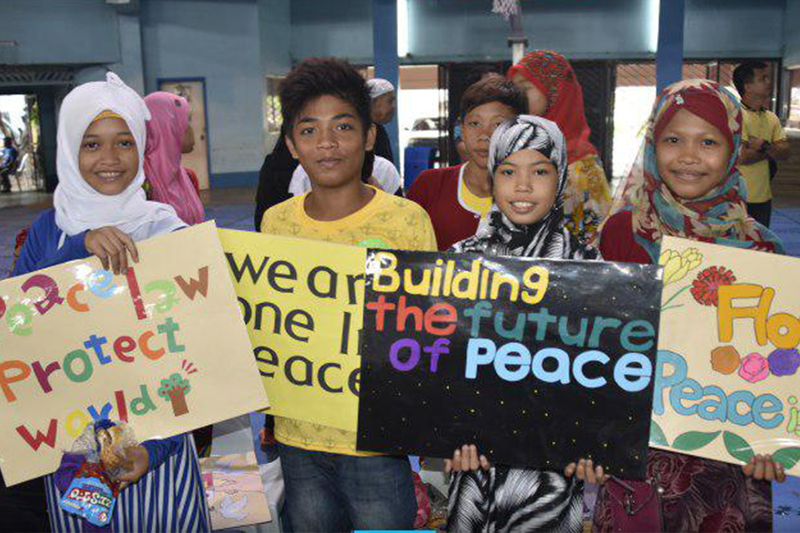 The peace walk held in the center of Mindanao, Philippines, and area previously caught amid 40 years of armed conflict, brought even more reasons for people to celebrate the day in the spirit of the Declaration of World Peace. Since the Declaration of World Peace was first proclaimed, peace has blossomed all over the world as HWPL Days were designated and peace monuments were erected in a total of 8 locations around the world. In light of the recent earthquake in Nepal, participants donated roughly $40,000 as part of the Nepal Earthquake Relief Fund. The donation was then delivered to Nepal through the Embassy of Nepal in the Republic of Korea. 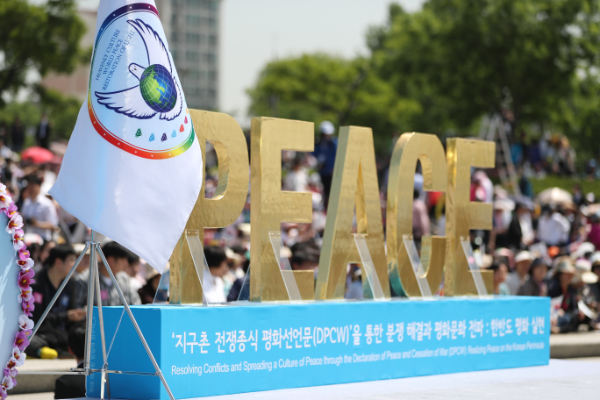 Over 300,000 members participated in celebrating the 3rd Annual Commemoration of the Declaration of World Peace simultaneously in more than 105 cities worldwide, including Seoul, South Korea. Since its initial proclamation, the Declaration of World Peace has called everyone to further the cause of world peace by making it a reality in their direct environments. The commemoration in 2016 highlighted the global peace advocacy movement, the Legislate Peace Campaign. 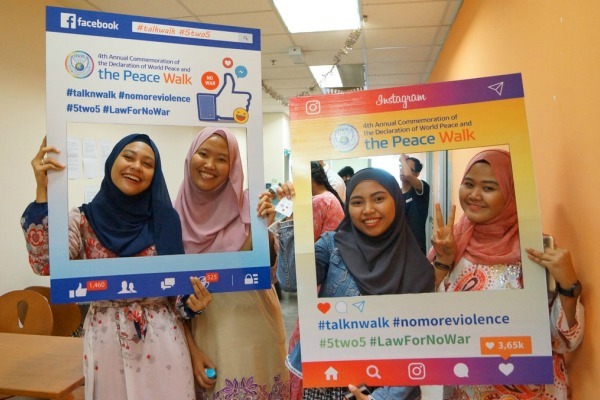 The majority of participants in the Peace Walk were seen signing their support for the Declaration of Peace and Cessation of War (DPCW) to be developed into a legally binding document that would be presented to the United Nations. HWPL members and participants were also able to donate $43,284 for the Ecuador Earthquake Relief Fund, which was then delivered to Ecuador through the Embassy of Ecuador in the Republic of Korea.